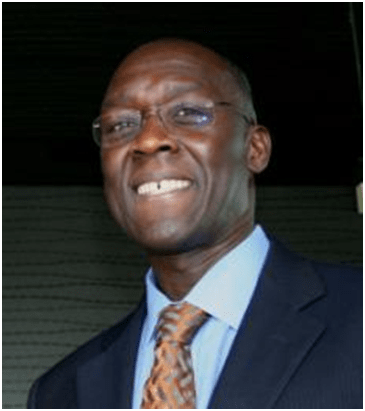 Report from the World Bank office in Freetown, says that the Bank’s Vice President for Africa – Makhtar Diop (Photo), is in Freetown on an official two-day visit, where he will take part in consultative meetings to discuss the government’s massive budget deficit. He will also hold high level talks on a wide range of development issues with President Ernest Bai Koroma, senior government officials, development partners, as well as civil society groups and the media. In July 2013, Sierra Leone adopted the Third Poverty Reduction Strategy – the government’s Agenda for Prosperity. According to the World Bank, the estimated cost of implementing all projects and programmes within the Agenda for Prosperity currently stands at $5.7 billion. The government of Sierra Leone, development partners and private sector investors, are committed to contributing an estimated $3.7 billion, towards the cost of implementing the Agenda for Prosperity. The World Bank says that there is a massive funding gap of $2 billion that needs to be filled. Sierra Leone’s GDP is $3 billion, which raises the question as to whether the government would have to scale back its programme, or embark on a massive expansion of the country’s already high foreign debt to pay for its Agenda for Prosperity. Since the launching of the government’s Agenda for Prosperity, concerns have been growing as to whether the government can afford to finance the implementation of this ambitious programme. With the current slowdown in China’s industrial production, global demand and price forecast for iron ore – Sierra Leone’s largest single export earner is less than encouraging. GDP growth is expected to decline from 13% in 2013 to 7.4% in 2015. Sierra Leone’s economy is too weak to withstand any further large increase in government borrowing. The country’s taxation base is not broad enough either, to guarantee and sustain the government’s projected revenue streams. “Economic activity continues to expand robustly, mainly on account of a sharp increase in mining activity. Output expanded by an estimated 20 percent in 2013, 5½ percent excluding iron-ore mining activity. “Reflecting subdued food prices, inflation has also continued to decelerate to 8½ percent at end-2013. “Gross international reserves reached 3½ months of import cover, supported by increased export receipts from iron ore.
“The fiscal position improved, reflecting a strong revenue performance and expenditure restraint. The overall fiscal deficit is estimated to have narrowed to 1.9 percent of non-iron ore GDP, from 5.6 percent in 2012. “Program implementation remained good. At the end of December 2013, all quantitative performance criteria were met; and all quantitative indicative targets, but one, were observed. “The indicative floor on poverty-related spending was lower than programmed mainly because of slower-than-expected execution of investment financed domestically. Structural reform measures planned for the end of December were also implemented on time. 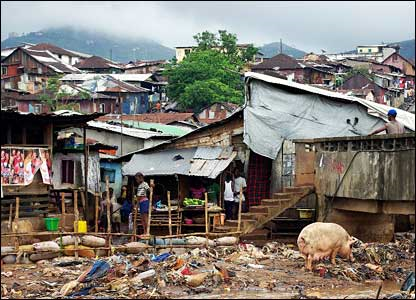 But despite this glossy report from the IMF, poverty is on the increase in Sierra Leone, as unemployment and a slowdown in economic activity continues to curtail the spending power of most Sierra Leoneans. Two months ago, the government received $25 million in budgetary support loan from the International Development Association (IDA), under what is known as the ‘Sixth Governance Reform and Growth Credit Facility’, to help meet recurring government expenditures. 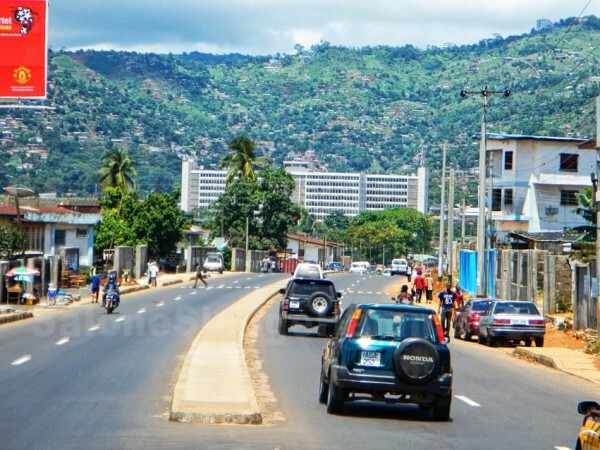 According to the World Bank, the Consultative Group meeting taking place in Freetown tomorrow, is aimed at firming up existing donor commitments and mobilize additional resources – including private sector funding, public-private partnerships, so as to close the $2 billion funding gap. The Bank says that since 2003, the government has made substantial progress in reducing poverty and improving access to basic services It says that, by 2011 the poverty headcount in Sierra Leone had declined from 66 percent to 55 percent, though this is debatable. 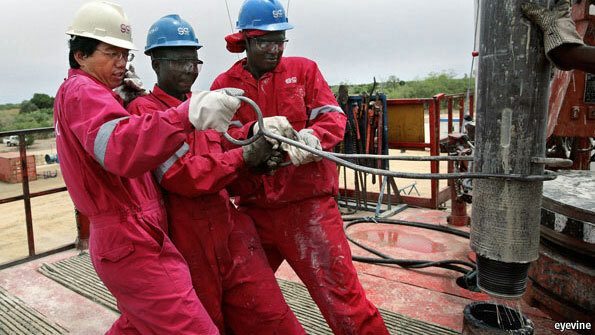 The World Bank confirmed that total current World Bank portfolio for Sierra Leone is valued at around US$450 million. But is there scope for this massive budget shortfall to be plugged by taxation receipts? 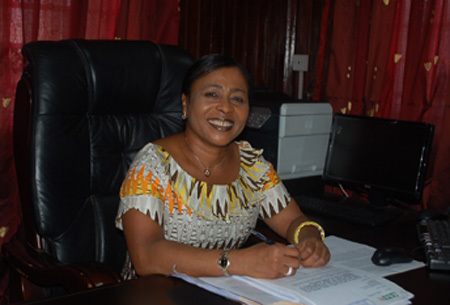 Although the Commissioner-General of the country’s National Revenue Authority (NRA) – Haja Kallah Kamara (Photo) is confident about her agency’s performance in collecting much needed tax receipts, raising an additional $2 billion in taxes may require the sale of huge chunks of the country by the government – an impossible expectation. Taxes collected by the NRA is said to be currently contributing to about 60% of the government’s budget spending. The NRA Chief told the Sierra Leone Telegraph that; “In the first quarter of 2014, the NRA collected Le545 billion against a target of Le535 billion. “This implies the Authority met and exceeded this target even though marginally. All operational departments met their first quarter targets. “In terms of revenue stream, mines revenue, petroleum excise, import GST and income tax revenues outperformed their targets; however, domestic GST, import duties, import excise and ‘other departments’ of non-tax revenue, did not meet their targets. “As a whole, the NRA met and exceeded the 2014 quarter one target. “Compared to previous year’s collection, the NRA again performed relatively well in the first quarter of 2014, compared to the same quarter of 2013. “Whilst the Authority collected Le498 billion in quarter one of 2013, it succeeded in collecting Le545 billion in quarter one of 2014, representing an improvement in revenue collection of Le46.7 billion (or 9.4%) in 2014. “All of the operational departments improved their collection in quarter one of 2014, compared to the same quarter of 2013. She said that: “Whilst the Authority may have had an impressively start to the year 2014, the targets for the other quarters remain comparatively high and hence challenging. “However, these quarterly targets are reflective of historic performance over the years. Therefore, if the Authority replicates the quarterly performance in the previous years, then we should be confident of meeting the remaining quarterly targets. Can the World Bank Africa chief help president Koroma raise the additional $2 billion, required for the implementation of his Agenda for Prosperity, or will he tell the president to scale back his ambitious flagship programmes?